There are many groups that are pushing for exemption from newly formulated safety rules aimed at preventing deadly bacterial outbreaks. Among these groups are the onion farmers and suppliers from Oregon and Idaho. The group asserts that there has never been a documented food safety issue with dry bulb onions to date. Onions are often characterized by a curing process and protective covering that greatly minimizes the risks of food safety. To consume onions, one must peel them. Owed to these factors, onion suppliers and farmers feel that they should be exempted from the safety rules and regulations. 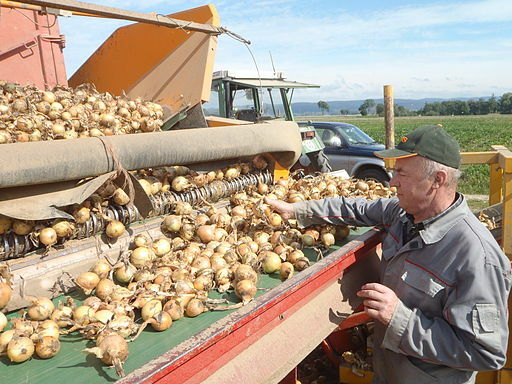 Onion growers have further contended that the proposed safety rules governing irrigation water are unreasonable, and would negatively affect their businesses. These arguments have been presented to the U.S. Congress. A more legalistic version of the position of onion farmers is reflected in the comments submitted to the United States Food and Drug Administration. The version clearly states why onions differ from other crops. Onion farmers are not a major lobby in Washington on their own. Instead, they have collaborated with a more influential group to campaign for the slowing down of the new food-safety law implementation process. One of the long lists of trade associations representing various groups was the National Onion Association, which requested an extension of the comment period. In late July this year, another pair of regulations governing imported food were published by the FDA. One of the regulations concerns for food importers, while the other concerns third party accreditation to oversee foreign food imports’ safety. A fifth rule regarding animal consumption is still under review by the Office of Information and Regulatory Affairs. Generally, food safety has been a major key concern issue.